It is remarkable how rarely sport has been the subject of theological reflection. Whether we ourselves are sports enthusiasts or not, it is hard to deny that sport is one of the great global phenomena of our times. Whether as participants, spectators or both, billions of people find pleasure (and pain), fulfillment and ‘meaning’ in sporting activity. Speaking personally, I am not ashamed to admit that, after faith and family, sport has been the greatest source of pleasure and significance in my life. We have decided to devote this issue of Encounters to Sport and Mission. If the literature on the theology of sport is limited, missiological reflection on this ubiquitous human activity fares little better. We hope that the three articles that follow will provide a way in to some of the literature that does exist and prompt further discussion and writing. Even more importantly, we hope that many will be motivated to engage in the practice of ‘sports mission’. See my editorial for a fuller introduction to the issue. For now, though, I leave you with this thought: at the end of Stuart Weir’s article, he cites Bryan Mason’s claim that the biggest unreached people group in the world is the group that plays, follows, reads about and watches sport. Mason writes, ‘For the church to have no designated strategy for reaching this huge people group is at best ignorance and at worst folly’. 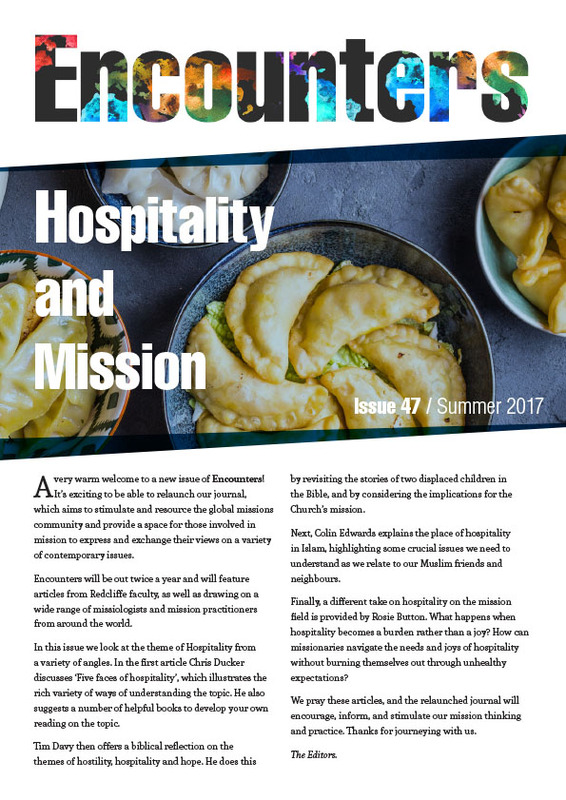 We hope that this edition of Encounters provides encouraging evidence that such a strategy is developing and prompt further efforts to demonstrate the Lordship of Christ in the world of sport. Former Principal of Redcliffe College, sports enthusiast and Chaplain at Abingdon School.